Next, you need to install a SQL client and the AWS Schema Conversion Tool (AWS SCT) on your local computer. Download SQL Workbench/J from the SQL Workbench/J website, and then install it on your local computer. This SQL client is free, open-source, and DBMS-independent. 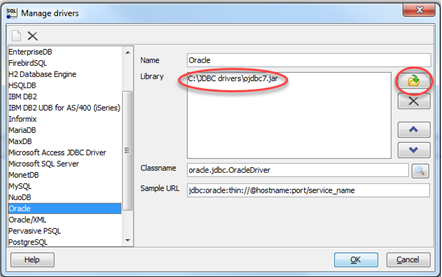 Download the JDBC driver for your Oracle database release. For more information, go to https://www.oracle.com/jdbc. 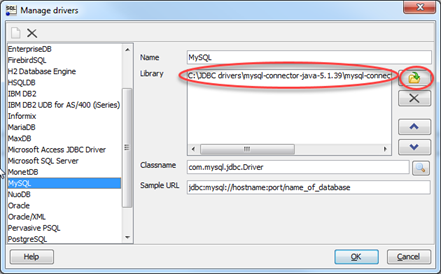 Download the MySQL JDBC driver (.jar file). For more information, go to https://dev.mysql.com/downloads/connector/j/. Using SQL Workbench/J, configure JDBC drivers for Oracle and Aurora MySQL to set up connectivity, as described following. In SQL Workbench/J, choose File, then choose Manage Drivers. From the list of drivers, choose Oracle. Choose the Open icon, then choose the .jar file for the Oracle JDBC driver that you downloaded in the previous step. Choose OK.
From the list of drivers, choose MySQL. Choose the Open icon, then choose the MySQL JDBC driver that you downloaded in the previous step. Choose OK.
Next, install the AWS Schema Migration Tool and the required JDBC drivers. Download the AWS Schema Conversion Tool from Installing and Updating the AWS Schema Conversion Tool in the AWS Schema Conversion Tool User Guide. By default, the tool is installed in the "C:\Program Files\AWS Schema Conversion Tool\AWS directory. Launch the AWS Schema Conversion Tool. In the AWS Schema Conversion Tool, choose Global Settings from Settings. In Global Settings, choose Driver, and then choose Browse for Oracle Driver Path. 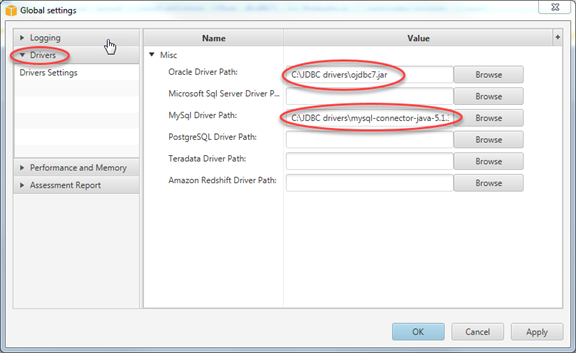 Locate the JDBC Oracle driver and choose OK. Next, choose Browse for MySql Driver Path. Locate the JDBC MySQL driver and choose OK. Choose OK to close the dialog box.